This story is a fictional novel which made me laugh right up to the end. It is a story about a teenage boy named Matt Gratton and his friends Coop and Sean. What happens is every year they set themselves a goal and this year’s goal is to see a live naked girl. In their swim squad is a new girl named Kelly who Matt is keen to impress, so when the swim coach asks for volunteers to swim 4 lengths Butterfly Matt decides to put up his hand. Matt lives with his family which includes a crazy Grandad with a goatee who is trying to pick up the widow lady down the road! His plan includes getting Matt to help him. Matt and his friends try all sorts of schemes to achieve their goal of seeing a girl while Matt tries to train in private ready for the big race. He even takes some protein powder from his Mum which turn out to be laxatives. They heard that a girl they want to see naked is going to a community centre so they dress up like girls. In the changing room he sees Matt sees Kelly and quickly runs into a toilet stall and this is when the laxatives decide to come out!! His named underpants end up blocking the girl’s toilets and cause a major flood! Kelly’s best friend Valerie is kind and Matt enjoys her company and likes to ask her lots of questions about Kelly. There are many funny moments in this story including a party and Matt nearly having his appendix removed. The ending is a real happy one for Matt, his friends and the girls. I think the author was saying to never be afraid to step up to challenges in your life and that sometimes the best things have been right in front of you the whole time. This novel was easy to read with small chapters and hard to put down. It made me laugh out loud as I read it. 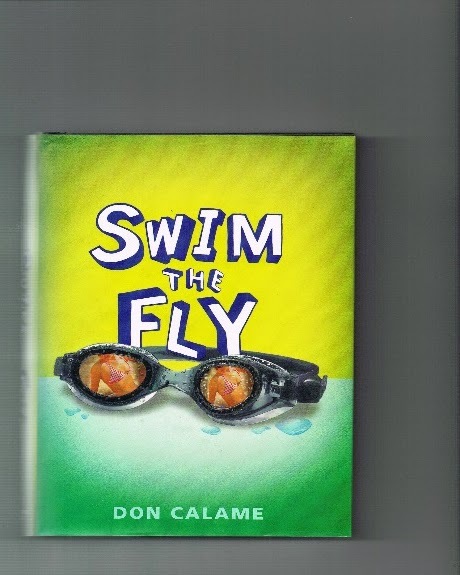 I enjoyed reading about the challenges of swimming and hard work. I would recommend this book to anyone who likes to laugh, people who enjoy stories about teenage life and to those who enjoy swimming. It contains some rude words but I think it seems appropriate for this story. Charlie, you laughed so hard in bed at night reading this book so I decided to read it after you! I enjoyed it too, it was a story to make you feel happy inside. I love that you enjoy novels and that this one inspired you towards your goals! Everyone feels awkward and embarrassed sometimes and it's great to read about someone's experiences in a book like this. Love Mum. Charlie you summarised the plot really effectively. I like that you justified what you said - for instance about inappropriate words actually fitting the story. It sounds like a good book.